"He's absolutely fantastic and no doubt destined for great things. He is very hard-working, incredibly clear in his advice, very efficient, and has seriously impressed when on his feet in court." 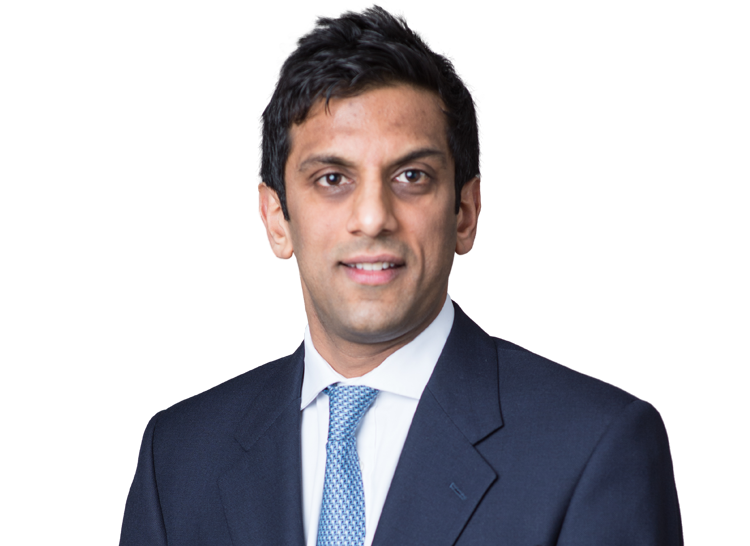 Tony Singla is widely recognised as one of the leading juniors at the Commercial Bar. In 2014 Tony was awarded “Commercial Litigation Junior of the Year” at the Chambers Bar Awards where it was said that “he has long been considered a leading commercial junior, as evidenced by his wealth of experience in the most high profile cases”. In 2018 Tony was nominated by Legal 500 as “Commercial Litigation Junior of the Year” and as “Competition Junior of the Year” by Chambers & Partners. Across the Chambers & Partners and Legal 500 directories, Tony is identified as a leading junior in seven fields: Banking and Finance, Civil Fraud, Commercial Litigation, Competition Law, Insurance and Reinsurance, Professional Discipline and Regulatory Law, and Professional Negligence. Tony is also recommended for Banking and Finance in Who’s Who Legal and is ranked in Chambers Global in the areas of Commercial Dispute Resolution and Competition Law. In recent years Tony has been featured by The Lawyer magazine in its “Hot 100” which commented that his name “will keep cropping up on the biggest cases, and for good reason”, by Chambers & Partners as one of the junior “Stars at the Bar”, and by The Lawyer as a “rising star” in an article profiling “the most talented and promising legal practitioners at work today”. Tony is regularly instructed as a member of large teams in heavyweight litigation and arbitration (ICC, LCIA, and UNCITRAL rules). He has been led by silks within and outside Brick Court in a number of high profile disputes in recent years. In addition, Tony appears frequently as sole counsel in trials and interim applications in the High Court, the Competition Appeal Tribunal, and before arbitral tribunals. Tony’s current and recent commercial work includes: Fundo Soberano de Angola v Dos Santos (claim by the Angolan sovereign wealth fund to recover US$3 billion of assets alleged to have been fraudulently misappropriated); Financial Reporting Council v Deloitte (acting for Deloitte in disciplinary proceedings brought by the FRC in connection with the audit of Autonomy plc); the Lloyds/HBOS Litigation (acting for Lloyds Banking Group in a 5 month trial of claims brought by over 6,000 shareholders arising out of Lloyds' acquisition of HBOS); Republic of Djibouti v DP World ($2 billion LCIA arbitration involving allegations of bribery and corruption in Africa); Single Buoy Moorings Inc v Zurich Insurance plc (acting for insurers in a $1 billion coverage dispute concerning damage to a platform in the North Sea); Terra Firma v Citibank ($2 billion claim by Terra Firma arising out of its acquisition of EMI); and Michael Cherney v Oleg Deripaska ($4 billion claim in the Commercial Court relating to a disputed shareholding in Rusal). Tony has also appeared in three Supreme Court appeals: Eclairs Group v JKX Oil & Gas plc (concerning the duties of company directors and the scope of the proper purposes doctrine); The Alexandros T (concerning Articles 27 and 28 of the Brussels Regulation); and VTB Capital plc v Nutritek International (concerning jurisdiction in respect of tort claims and piercing the corporate veil). In competition law, Tony’s current and recent cases include: the Trucks Litigation (acting for Iveco in defence of follow-on claims estimated to be worth over £1 billion); Merricks v Mastercard (acting for Mastercard in defence of a £14 billion claim on behalf of UK consumers); Apple v Qualcomm (multi-billion dollar claim by Apple concerning Qualcomm’s patent licensing and chipset supply arrangements); the Air Cargo litigation (acting for Asiana Airlines in a multi-billion pound claim arising out of a worldwide cartel); and Imperial Tobacco v OFT (appeal against a £100 million fine for pricing practices in the tobacco industry). Tony is the co-author of “Accountants’ Negligence and Liability” (2016) and a contributing author of “Competition Litigation: UK Practice and Procedure” (2010). Between 2006 and 2011, Tony was a Retained Lecturer in Law at Oxford University where he taught Contract Law and Competition Law. Tony is a member of the Sports Resolutions Pro Bono Panel, representing individuals in relation to anti-doping and disciplinary matters. He is also a member of the Bar Pro Bono Unit. Tony is widely recognised as one of the leading juniors at the Commercial Bar. He was awarded “Commercial Litigation Junior of the Year” at the Chambers Bar Awards in 2014 and was nominated as “Commercial Litigation Junior of the Year” by Legal 500 in 2018. He is recommended in the legal directories as a leading junior in a number of commercial fields: Banking and Finance, Civil Fraud, Commercial Litigation, Insurance and Reinsurance, Professional Discipline and Regulatory Law, and Professional Negligence. Tony is regularly instructed as a member of large teams in heavyweight litigation and arbitration (ICC, LCIA, and UNCITRAL rules). He has been led by silks within and outside Brick Court in a number of high profile disputes in recent years. In addition, Tony is frequently instructed as sole counsel in trials and interim applications in the High Court and before arbitral tribunals. Tony is regularly instructed as a member of large teams in heavyweight litigation and arbitration (ICC, LCIA, and UNCITRAL rules). He has been led by silks within and outside Brick Court in a number of high profile disputes in recent years. In addition, Tony has considerable experience of appearing as sole counsel in trials and interim applications in the High Court and before arbitral tribunals. In recent years Tony has appeared in a large number of confidential arbitrations. By way of example, Tony's recent international arbitration experience includes Republic of Djibouti v DP World ($2 billion arbitration involving allegations of bribery and corruption in Africa). He is also currently instructed in a range of high value arbitrations seated in London, Mauritius, and Lisbon. Tony also frequently appears in arbitration-related applications, including applications for interim relief under section 44 and applications under sections 67, 68, and 69 of the Arbitration Act. For example he appeared in the long-running Nomihold Securities v Mobile Telesystems Finance dispute, which involved an application to set aside registration of a $200 million LCIA arbitration award on the basis of fraud and an appeal to the Court of Appeal on the scope of the ordinary course of business exception in a worldwide freezing order granted post-award.